Display advertising is absolutely crucial to the success of an integrated marketing campaign, whether you’re doing it directly on Google through contextual audiences, whether you’re remarketing, or maybe you’re even doing something with programmatic advertising, display advertising is important, but what makes a banner clickable? What makes me want to click a banner ad when I browse the web on a different website? What makes me want to click? Well, I’m going to show you exactly what makes a fantastic banner ad and I’m going to give you five tips on how to do that coming up. Hey everyone, Darren Taylor here of thebigmarketer.co.uk giving you tips, insight, and opinion on all things marketing. If that’s up your street, you should consider subscribing. Today, we are looking at display banner ads. What makes an ad clickable? What makes you want to click a display ad? 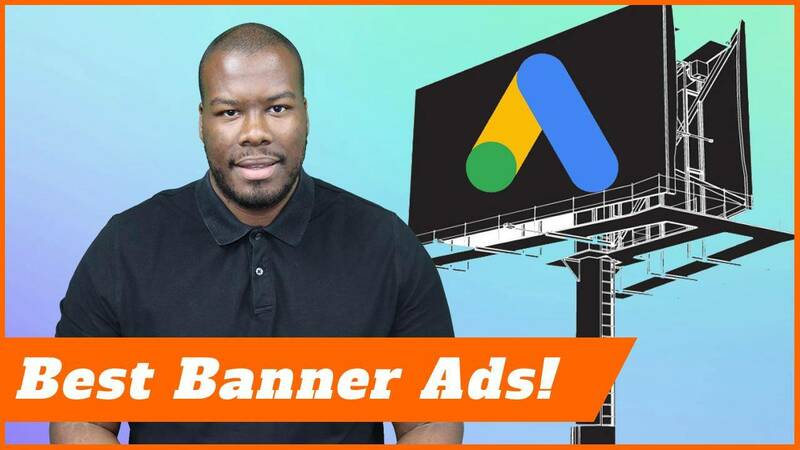 How can you get people and potential customers to click your banner ads? Well, I’m going to show you exactly how, so let’s jump right into it. The first and most important factor of a display banner ad is the call to action. You need to make sure that ad has a call-to-action in place. Usually, this should be in the form of a button. Have a button on your banner ads that stands out against the background. Whether it’s the background of your ad itself or the background of any websites the ad could be placed on. Make sure that call to action button stands out because that’s really going to drive clicks to your banner ad and it’s really going to make people want to complete the action that you’re suggesting within your call to action. My second tip to you is to avoid using large white spaces. Even if you’re printed in a magazine or any kind of visual display advertising, large white spaces don’t really work in terms of sticking out unless you’re Apple because they can get away with it. They can do what they want, but the point is for a small business, medium-sized business, or whatever your business is doing, you need to make sure you avoid using white space in your banner ads because it means your adverts fall into the background of typically a lot of sites with black text in a white space. how do you create effective banner ads? Your ads won’t be seen that brightly and it won’t be seen that well, so try and avoid large white spaces on your banners. Tip number three is to use animation. Now, imagine you’re going for a website with display advertising down the side or within the content, if something animates, it catches your eye. It’s really going to push your click-through rate, make sure your message is seen by more people, so make sure you animate your banners. Google AdWords has a number of tools that can help you do this, if not, you can get a professional designer to animate banners for you. You can do it frame by frame or you could do full animations, but it’s up to you ultimately, but try and make sure the banners are animated because that’s really going to help them be seen and that’s really going to increase your click-through rate as well. Tip number four is to make sure that your banners have a border even if it’s faint. You don’t know necessarily the color of the website that your banners are going to be displayed on. What if your banner is red and it goes onto a red background? It could fade in quite easily, so make sure there’s a border around your ads to make it stand out on the website that it goes onto because you’ve got no control over that. What you can control is your ad, so you can manually add a border onto them to make them stand out effectively. My final tip for you guys is to not use too much text. Too much text is very distracting. The websites your banners are going to be displayed on will probably have a ton of text anyway. You don’t want to confuse it within that as well. You want it to stand out with a strong image, strong coloring, and make sure it really stands out. Too much text is really going to affect your ads negatively. People can’t be bothered to squint to read something that’s just an advert. They want to see easily and it should stand out quite easily for them as well, so try and avoid using too much text. One last tip for you guys in terms of how the ads should look and that is to be different, be interesting, and use vivid colors. Now, I know your brand probably has guidelines in terms of colors and there are regular colors you use, but I’m sure one of those colors or even a couple of them are pretty strong, so really take advantage of that. Use interesting images that catch the eye and make sure that the whole ad itself is interesting and very visible, very vibrant and can be seen. When I say be different, try things out. Try testing different messages. Start to try different methods. See if something catches the eye. I had an ad once I clicked on that said, “Oh, my god, you didn’t subscribe,” because I went to the form, I tried to fill out the form and I left and I didn’t finish the process. The ad told me what I did wrong. The interesting part of that ad is it worked. I came back and I subscribed because it told me to. I wanted to anyway, but the fact that they told me to in the ad really made it stand out. Be different, be vibrant, be colorful, and make those ads really stand out. Thank you guys so much for watching. If you liked this video, go ahead and leave a like. Leave me some comments below. Let me know how you’re getting on with your display advertising campaigns. If you’re new to this channel, don’t forget to subscribe, loads of your marketing information from a digital perspective coming up for you guys every single week. Apart from that, I’ll see you guys next time.